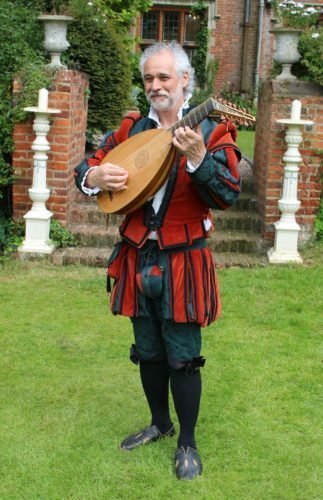 The Tudor Minstrel has performed for numerous events all across the UK, and has played at many prestigious venues including venues such as Queen's House Greenwich, Hever Castle, Royal Festival Hall, Hampton Court Palace, King's College Cambridge and Arundel Castle to name a few. 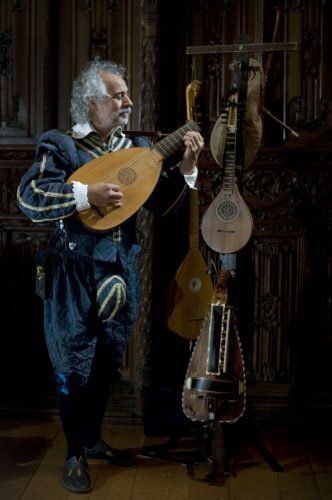 He plays the lute, hurdy-gurdy, cittern, English bagpipes and colascione. He has toured the world performing internationally for many special events and festivals, visiting places such as France, Germany, Dubai, Mallorca, Australia, Albania and California. Some of his TV appearances include 'Come Dine With Me', 'The White Princess', 'Blue Peter' and Howard Goodall’s Story of Music. You may have also heard his talents on BBC Radio 1, 2, 3 and 4. This musician is not to be missed - he plays various different period instruments with the costumes to match. He strolls among your guests and is comfortable with all age groups. If you like your musicians to have humour, charm, elegance and above all quality and professionalism, then look no further!